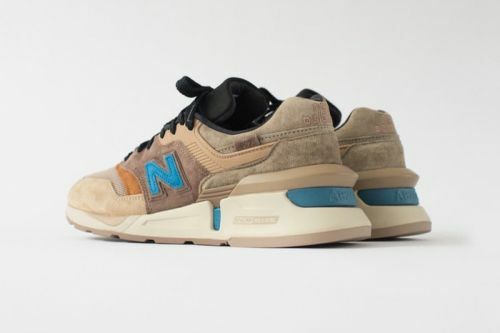 New Balance is set to bring back its trail and hiking-influenced 801 silhouette in its original colorway to celebrate the sneaker's 20th anniversary. The all-terrain silhouette, first released in 1998, mixes elements from trail and running. Having worked together on an adidas UltraBOOST Mid and Consortium Twinstrike last year, KITH and nonnative have collaborated again on an upcoming New Balance release. The sneaker - which is a take on the 997 silhouette - was teased by Ronnie Fieg , who posted two first looks at the collaboration.